Are you planning to visit Ohio? The Buckeye State has a wide variety of historic and entertaining attractions to offer those who visit. From picturesque covered wooden bridges to dramatic rock formations, Ohio's scenery is like no other. The state rewards visitors with affordable accommodations, a wealth of cultural attractions, natural beauty and friendly people. Consider Ohio for your next family vacation. Ohio is right in the middle of America's heartland and easy to travel around. It has six major interstates that are convenient for travel: I-70, I-71, I-75, I-77, I-90 as well as the Ohio Turnpike (I-80), which expands across the northern part of the state. Port Columbus International Airport is home to airlines such as US Airways, Southwest, Continental and American. Akron-Canton Airport is located off of Interstate 77 at Exit 113. It is home to airlines such as AirTran, Frontier Airlines, US Airways, Delta, United Express. Cleveland-Hopkins International Airport in Cleveland includes airlines such as Air Canada Jazz, American, Delta, Frontier, Southwest, United, USA 3000. The James M. Cox International Airport at Dayton hosts airlines such as American Eagle, AirTran, Continental, Delta, Frontier, United and US Airways. The Cincinnati Zoo & Botanical Gardens is located at 3400 Vine Street in Cincinnati, Ohio 45220. Its major attractions include the Giraffe Ridge, Elephant Reserve and Gorilla World. The Zoo also features an African Savannah exhibit as well as the Children's Zoo. Located at Kings Island Drive in Kings Island, OH 45034, King's Island, a family-oriented theme park, is close to Cincinnati and expands over 364 acres. It has seasonal amusement as well as thrilling rides that the entire family will enjoy. 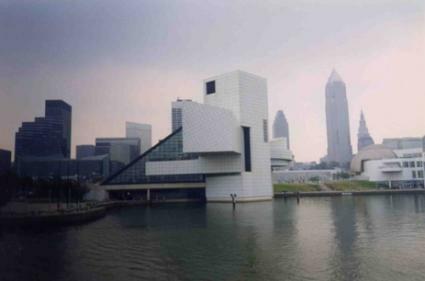 The Rock and Roll Hall of Fame and Museum is located at 1100 Rock and Roll Boulevard in Cleveland, Ohio 44114. It is a must see for any music lover. This museum is filled with rock memorabilia, art and music. The National Underground Railroad Freedom Center is located at 50 East Freedom Way in Cincinnati, Ohio 45202. The museum honors those who escaped slavery and shows the struggles that American slaves went through to get to freedom. No sports fan should pass up the Pro Football Hall of Fame in Canton, Ohio. This museum is filled with tributes to the great players of the NFL and features self-guided tours, exhibits, a snack bar and a store. Ohio is home to Ohio University in Athens and The Ohio State University in Columbus. Both colleges have campuses that you can walk around and enjoy. If you are visiting Columbus on a Saturday in the fall, consider taking a break and cheering on the Buckeyes at an Ohio State football game. Easton Town Center is located in Columbus. This open air center is filled with stores, restaurants, night life and various attractions. Expect to find stores such as Macy's, Tiffany & Co., LEGO, Talbots, Gap, Aveda, Coach and Nordstrom. Restaurants located in the center include California Pizza Kitchen, Starbucks and The Cheesecake Factory. Enjoy the open atmosphere that surrounds the large fountain in the middle of the stores while you are there. Ohio is also a great place to look for bargains at outlet malls. From the Cincinnati Mills located at Exit # 39 off I-275 to the Tanger Outlets near Jeffersonville off of I-71, shoppers have plenty of options to choose from. Ohio is home to the largest Amish population. Amish Country is filled with beautiful scenery, unique shops and friendly people. Take the day and shop for handmade quilts, artwork and home furnishings or sit back and enjoy the sounds of buggies on the streets. While in Amish country, visit the Breitenbach Winery for a taste of local wines, a guided tour of the grounds and a menu featuring wood-fired pizzas. If you have a sweet tooth, stop by Coblentz Chocolate Company and sample homemade candy such as Buckeyes, caramels, clusters and truffles. Whether you are visiting for a day or a long weekend, Ohio has plenty to offer the entire family. From visits to museums and parks to stays in Amish Country, there is something for everyone to enjoy. Consider adding Ohio to your travel agenda and find out what makes the Buckeye state so special.